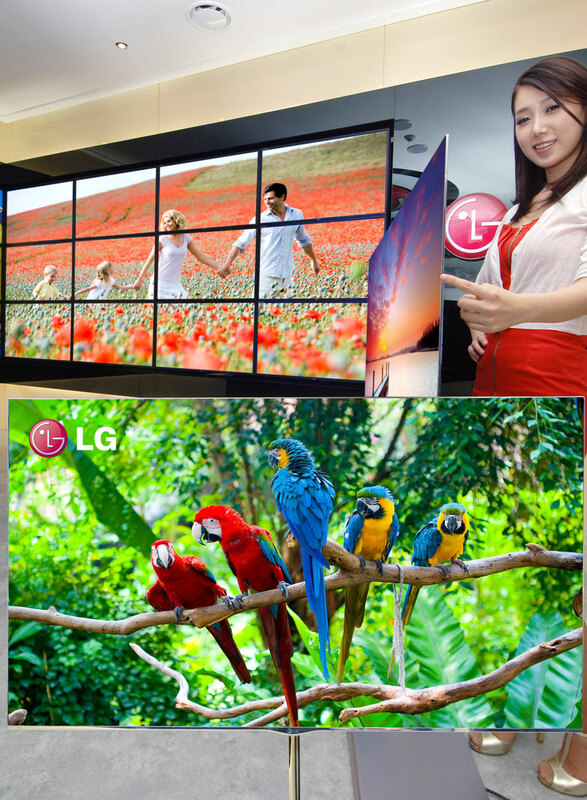 Rarely do I ever lust after HDTVs or 3D TVs, for that matter. From a design perspective, I’m never satisfied. The HDTV has to be about as perfect as it can be for me without compromise. Usually, the tradeoffs come with an ugly backside, a fat bezel, a thick body, or alien-legs (Samsung D8000 series, I’m looking at you), or exorbitant price. Lately, I’ve been hungering for an HDTV that will engulf me, blow me away with beauty and make my eyes fill up with tears of joy. In the last year, I nearly dropped my money (lots of money) on a Sony NX-810 or a Samsung D8000. The former because of its monolithic one-piece “edge-to-edge” glass design and one-of-a-kind aluminum stand that doubles as a 2.1 Dolby Digital sound bar (can’t seem to find it anywhere) and the latter for its 0.2-inch brushed metal bezel that’s virtually invisible. 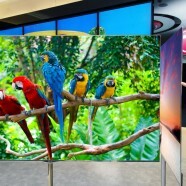 LG’s new 55-inch OLED 3D TV shown here that measures 55-inches diagonally, has a thickness of 0.16-inches and a bezel that’s even slimmer than the Samsung D8000. On top of all that, the 3D TV only weighs a featherweight 16.5 pounds and comes with a slick stand. With an OLED screen, you know that the blacks will be deep. No word on what type of 3D it uses (passive or active shutter), pricing (expected to break the bank) and release date, but this is a 3D TV done right. 10-year proof / 3D / OLED / etc. 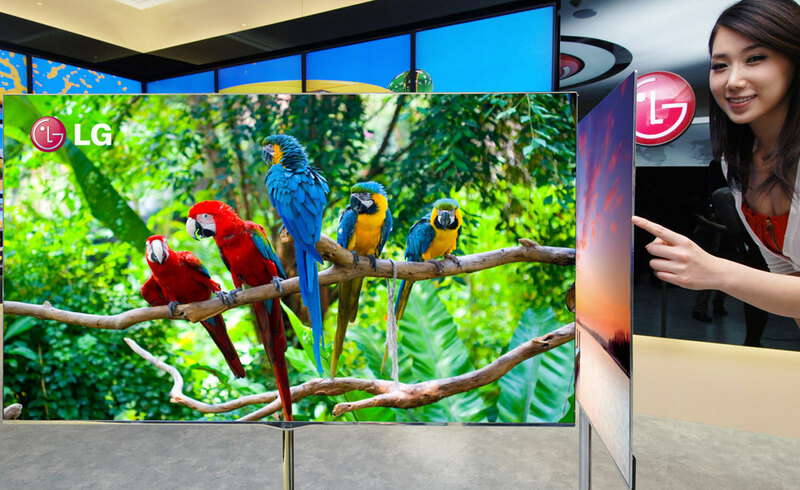 Between this and LG’s 84-inch “Ultra-Definition” 3D TV monster it announced last week, CES 2012 is going to be a cornucopia for 3D TVs that’ll wet my pants. 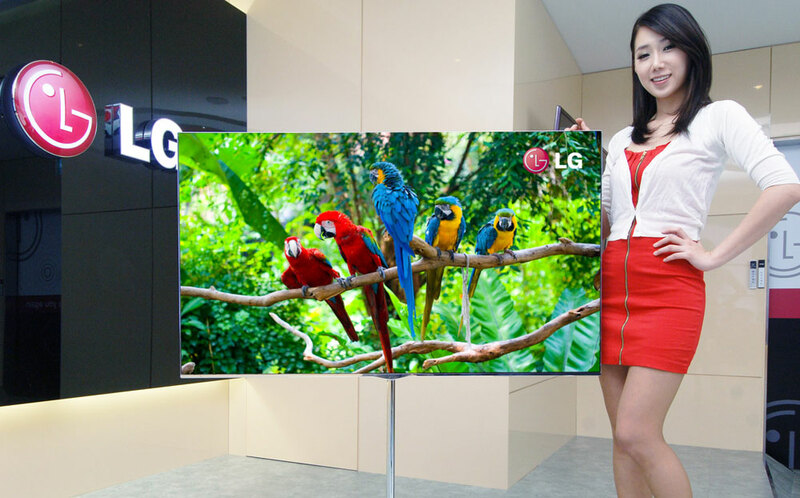 For those who care, I’m currently using a LG 26-inch LED HDTV (720p/60Hz) that I bought around Black Friday in 2010. Yes, it’s puny, and small, but I don’t watch much TV, and when I do, it’s on my MacBook Air or on the iPad. LG, call me.